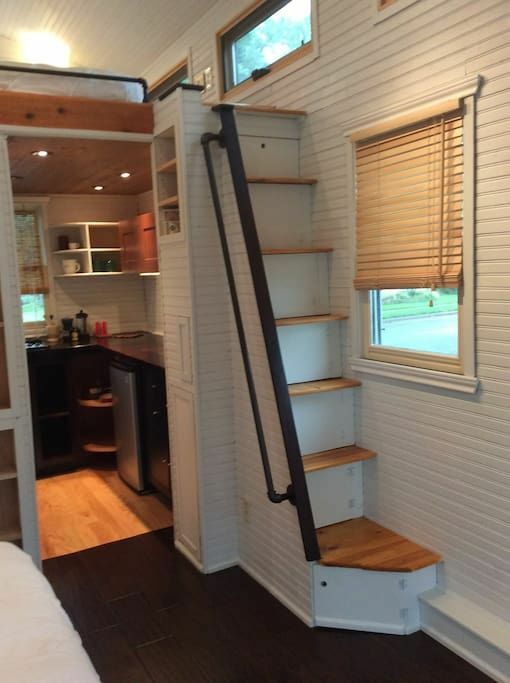 Cool is supposed to mean funky, hip or laid back, in which case we have to find another definition to apply the word to this beautiful tiny house listed on Airbnb, and we've got one: transcendent. 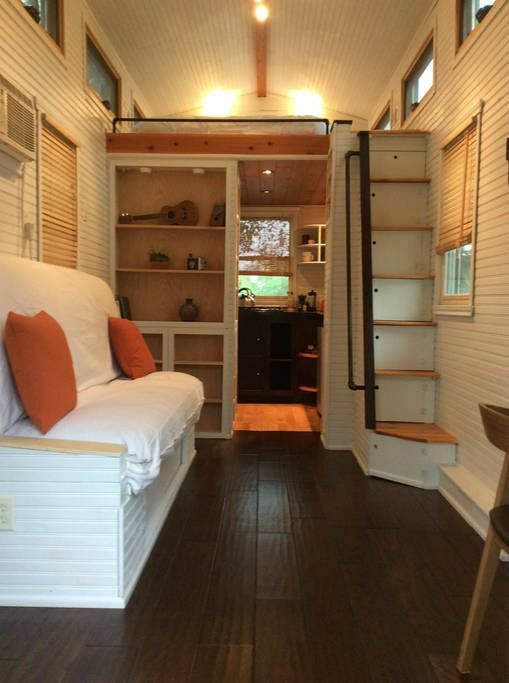 Most tiny houses have one of these, ironically called the "great room," which allows for rest and relaxation while (hopefully) someone is in the kitchen in the background rustling up some chow. In the meantime, you can see the terrific flooring and the clean lines throughout this home. The white couch, walls and ceiling also make this a bright room, helped by the lineup of windows overhead. 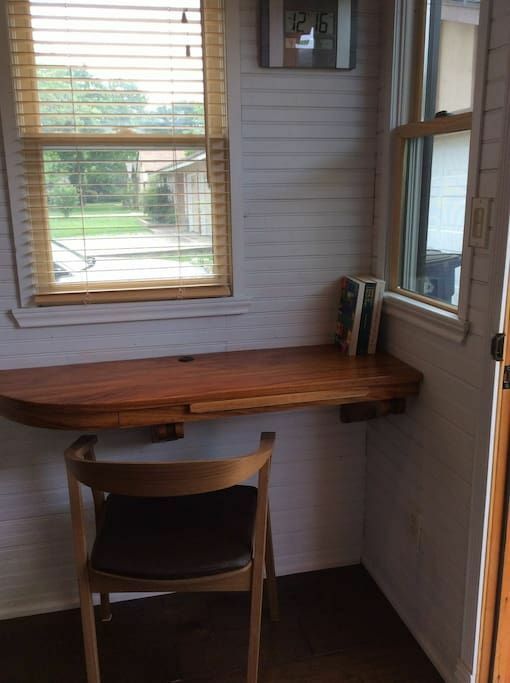 Writer's corner: This little desk has lovely, trim lines, and the natural wood surface is warm and welcoming. 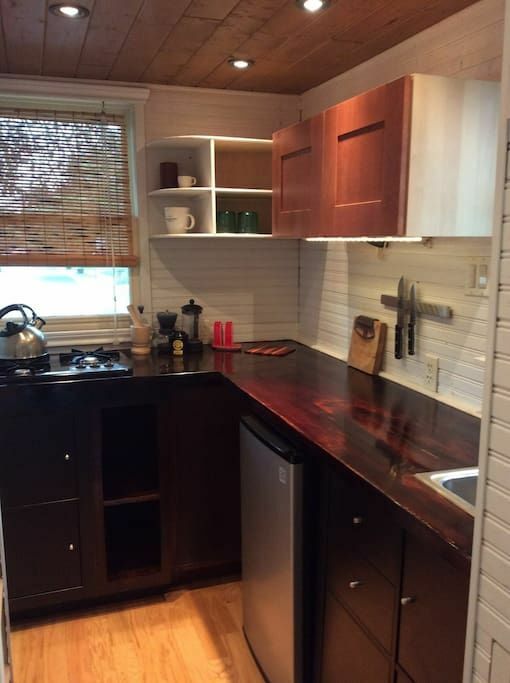 Speaking of warm ... the lush, dark walnut stain in the kitchen contrasts well with the rest of the house and gives the kitchen a warm and elegant look. Another view o the kitchen. 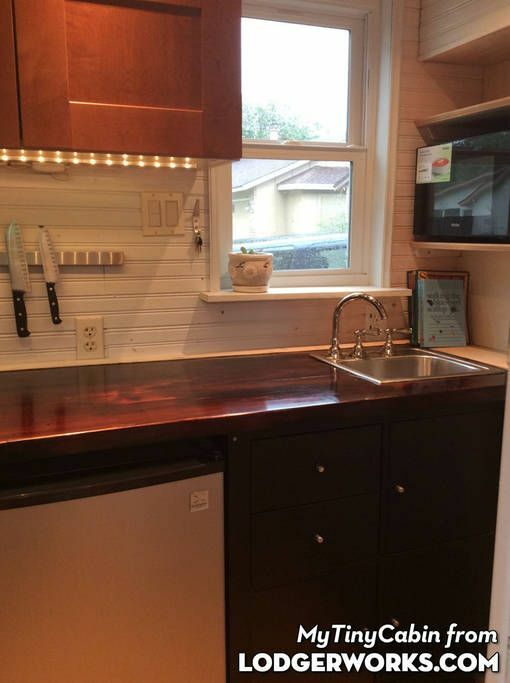 Yes, the sink is tiny, but the counter is spacious. 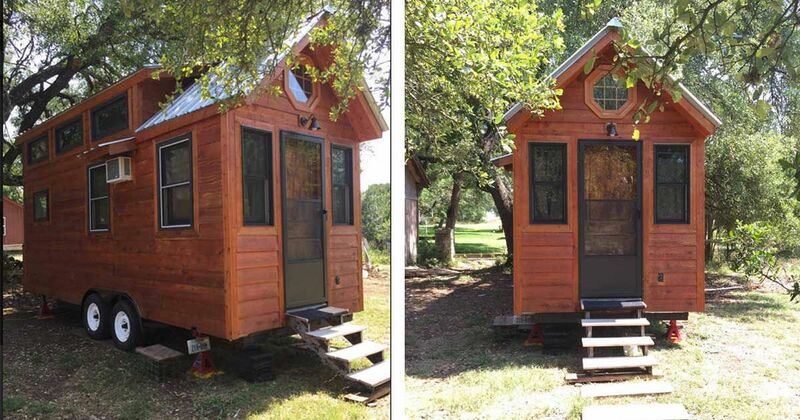 Tiny house living is about living within your means and revisiting priorities. 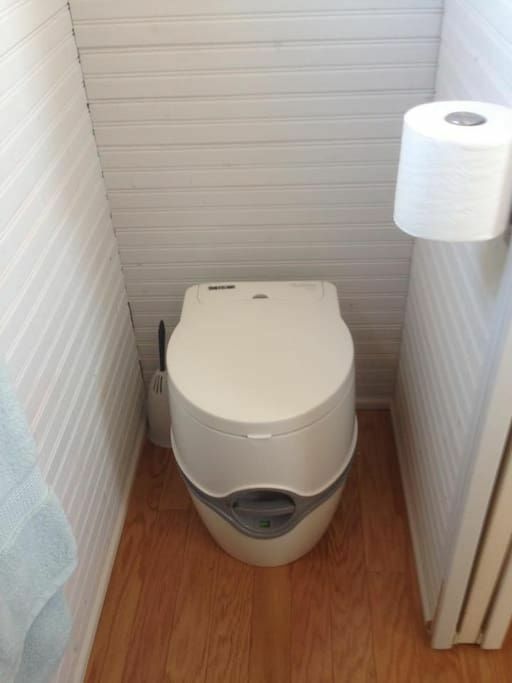 In this case, a small, cartridge commode may seem like a compromise, but when you're a house on wheels, you need portable plumbing. Great windows, track lighting and white everywhere. A bright room is a place for optimism. You can also see that it feels pretty roomy up there. What's so cool about these stairs? Everything. Beautifully made, they harmonize well with the rest of the house and take up not one inch more than necessary, thanks in part by the sharp grade that makes them steep but trim. Anything made this well is cool. 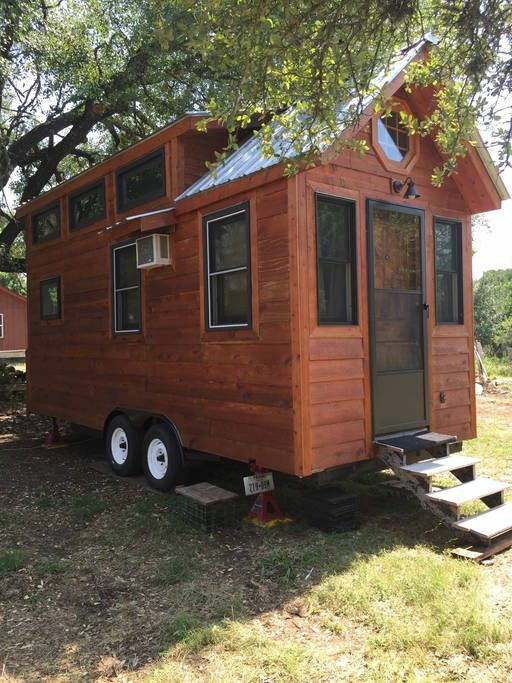 A tiny house on wheels is cool. 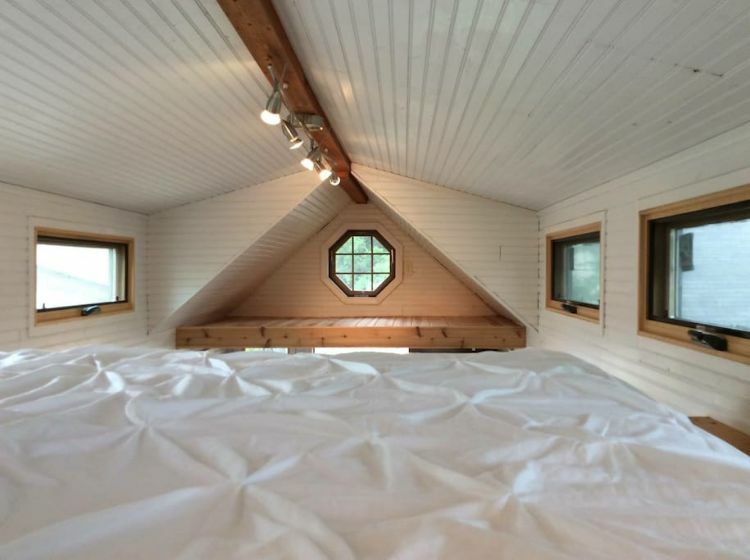 The dormer in the back is very cool. Bonus points for all the windows, including the window above the door, as well as the outdoor light just below it ... love that. But the coolest item of all? That would have to be the tiny air conditioner, of course.